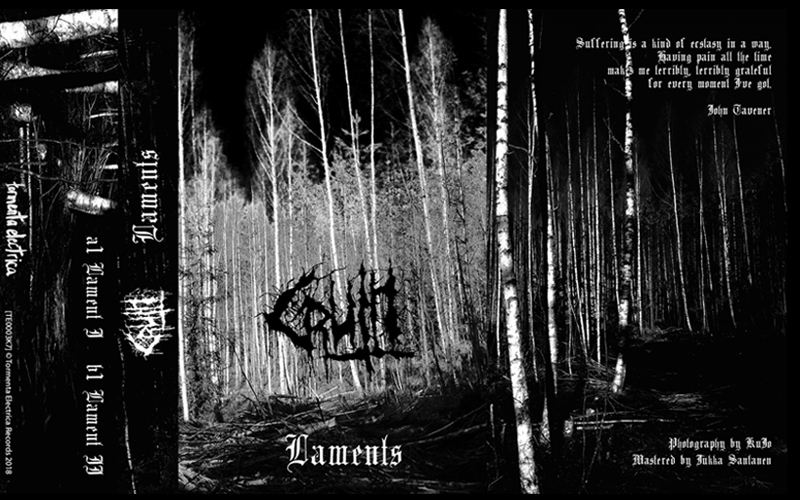 Premiere: Lament II – Gruth (Tormenta Electrica) | AS IF. NO WAY! Fading brown brick and mortar walls for hundreds of years have held in the internal screams of thousands of people. Tucked away into the solid rock foundations of a waterfall, a small tunnel navigates you deep through the earth into the Church of Lament. Hidden underneath the soft waters of a nearby stream that flows off the cliff face, a place of worship exists for those who wish to express their grievances, regrets or disappointments. The tall towers inside the cathedral ripple the currents flow above, as each of the four points stem out of the ground through to the sky, bringing down with them clean air that nourishes the energy inside the significant building. Stooped on wooden pews throughout the room, Men and Women of all the world delicately arrange themselves around the room, sat in attentive silence. It’s a healing process. A time to delve into the darker side of your ego and express nothing but patience. Sitting in silence. The hairs on you skin rise in response to the dense, cold air that floats throughout the building. Through carefully arranged sounds, the twenty-five minute session allows for anyone who enters to unravel their inner self in an intense individually-driven process. Gruth via Tormenta Electrica has created a limited edition cassette that explores the depths of contemporary church influenced ambient (that’s a thing). The twenty-five minute ambient procession, ‘Lament II’ is centred around stunning organ and field recordings, taking you through a ritualistic journey.